Readable, practical and accessible commentary on the book of Proverbs. It is good to see this series of non-technical commentaries. Such books are greatly needed. I look forward to using this series, especially among young Christians. Dr Graeme Goldsworthy is both a scholar and pastor. He has for many years engaged in academic study of the Wisdom Literature of the Old Testament, while at the same time being engaged in ongoing pastoral ministry. The author's grasp of the overall message and thematic structure of Proverbs will be evident on every page. But Dr Goldsworthy is also a great scholar of Biblical theology. 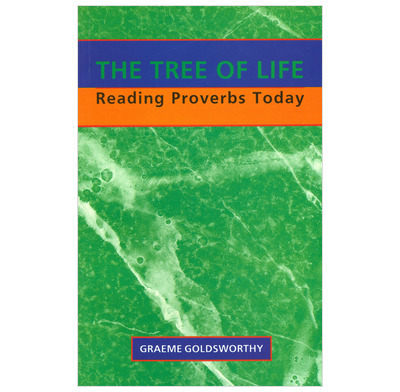 His insights into Proverbs are carefully integrated with the overall message of the Scriptures. His easy and readable style disguises the depth of his scholarship and his extensive reflection on the Proverbs, their place in the scriptures and their meaning for us today. - Dr Paul Barnett, Series Editor. Dr Graeme Goldsworthy has maintained a concern for the Christian use of the Old Testament, and the application of the method of Biblical theology, ever since he was first called upon to teach as a junior tutor at Moore Theological College in 1958. He lectured in Old Testament Studies at Moore College from 1963 to 1969 and at the Presbyterian Theological Hall of Queensland from 1976 to 1980. Since 1981 he has been minister for Christian Education at the Coorparoo Anglican Church in Brisbane. Here he has been able to develop his interest in Biblical theology in the context of the pastoral ministry. He has published four previous titles dealing with various aspects of Biblical theology.